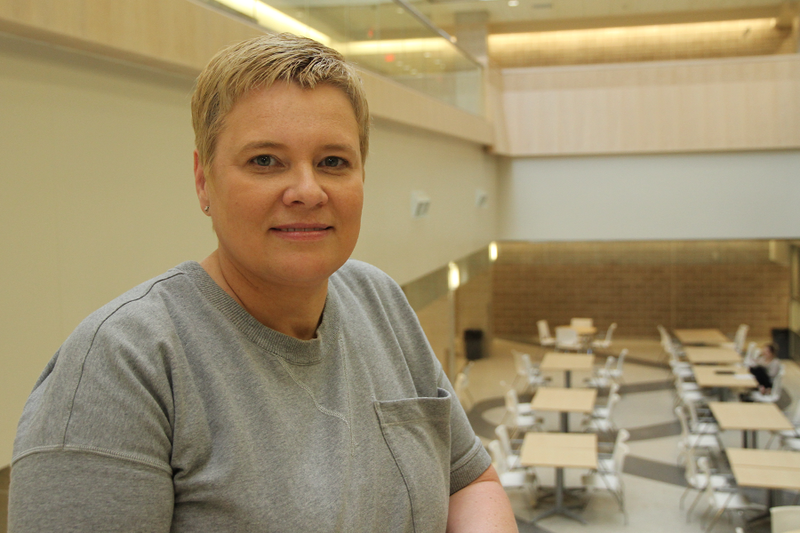 With the appointment of Lisa Kalynchuk as the interim associate dean, interdisciplinary health research, the vision for health sciences at the University of Saskatchewan is becoming clearer. As one of the last steps in the reorganization of the Council of Health Sciences Deans— which included the appointments of Dr. Preston Smith as vice-provost of health and Lois Berry as interim assistant vice-provost of health and will next see the recruitment of an associate dean of interprofessional education—Kalynchuk said this position's goal is to "galvanize our strengths and figure out what we can do to facilitate more interdisciplinary research." Kalynchuk said that while "we have a full spectrum of health science colleges, we are not engaging in research activities that capitalize on collective strengths and capabilities in an effective way." To that end, Kalynchuk is embarking on a process to consult with deans, associate deans and researchers in each college to sketch out a "strategic plan that won't interfere with college research but will provide institutional perspective." Bringing this group together, especially the associate deans of research, is a necessary first step "to share ideas and to see where we can go as a collective." While Kalynchuk will focus on the collective, she stressed that this is not intended to limit college-specific activities that serve college-specific stake- holders. Rather, she hopes to see college researchers "branch out and see what possibilities exist to partner with colleagues in other colleges." It is a big job, she continued, requiring a mixed bag of tasks—everything from enhancing collaboration by building relationships between clinicians, researchers, health regions and health organizations, to developing policies on space and equipment and identifying metrics of success to guide decision making. "We know we can achieve more as a collective than we can individually, that's why this is a priority," said Kalynchuk. "We need to show that our office brings extra value, it's not just more administration." Kalynchuk said she will look at addressing issues around space, ways to share specialized equipment and where additional support may be needed. This will go a long way to "showing value and demonstrating benefits to researchers." Another important part of her job, she continued, will be addressing concerns that colleges have. "As we address more issues, there will be fewer problems and we can continue to build an environment of successful health research where everyone is doing more, from researchers to students."